As the weeks of a limited format go by, there becomes less and less to discuss when it comes to the strategy. Pick orders become solidified, archetypes more clearly defined, and only the most die hard players find themselves queuing up for another draft. As a content creator this gives me the opportunity to depart from the nitty gritty of a particular limited environment and look to add something to your toolbox to be used for all your drafts to come: Drafting Best Practices. It is my goal to have you examine how you navigate a draft, not in the specifics of which particular cards to select but in how to organize your picks as you draft and some critical questions you may be forgetting to ask yourself. On Magic Online or Arena, it's a lot easier to do. You have all of your picks in front of you at all times. The ability to build your deck as you go on digital platforms is a huge advantage, yet I don’t see many people maximizing this ability to its full potential. By the end of my drafts, I would say nearly every time all I need to do is add lands and submit. Sometimes I need to figure out the last couple cuts or the last couple additions, but I’m never finishing the draft with 30 cards in consideration in my main deck. And you shouldn’t be either! When you finish a draft with too many cards as options for your final build, you deny yourself the opportunity to get a real sense of your curve and power level because you actually have no idea what the deck will look like. You may think your two-drop slot is full and opt to take something for your sideboard over a Skyline Scout, but when it comes time for deck building you realize you’ve got a bunch of Goblin Locksmiths and Tenth District Guards that you wish you could upgrade. In the main deck area are all cards that I am obviously planning on making my main deck at the end of the draft. I sort these by curve and do not separate creatures from non-creatures. I sort my sideboard into 3 columns. On the left is where I put the lands I am planning to play. I keep these out of my main deck so that the number of cards listed at the bar at the top is an accurate representation of the number of spells I currently have for my deck. The next column over is where I put the cards that could make my main deck, but I don’t currently want to play them if I don’t have to. This could be cards I think are below replacement level, cards that I’ve already got one of and would rather not play a second, or cards that are splash considerations but I don’t currently think my mana base can support it. The third column includes my sideboard options and the cards that are off-color or unplayable in my estimation. In essence all the cards that will never make my main deck. This system may not work for you, but I encourage you to develop something similar to help maximize your ability to build your deck as you draft. At Competitive REL, the time you have to review your picks between packs is crucial. This lets you refresh your memory of what you’ve drafted and makes you aware of what you’re looking for out of the next pack or two to round out your deck. On Magic Online or Arena, there isn’t that defined moment of review. You’re just given the next open booster and it’s time to make your pick. But any seasoned drafter will be asking themselves a number of questions. At the end of a draft you want to end up with approximately 23 playables. That means you want roughly 7 at the end of pack 1, 15 at the end of pack 2, and 23 at the end of pack 3. I’m a little more lenient at the end of pack 1 since that’s the pack where you’ll do the most bobbing and weaving to find what lane is most. By sorting my cards the way shown above I know exactly how many playables I have going into pack 2 or 3, and what I need to do in those packs to make my goal of 23 by the end of the draft. If I'm under 15 playables at the end of pack 2 then I know I can’t really afford to waffle at all in pack 3. I can’t take lands or strong sideboard cards. If I’m over 15 playables, I have a little wiggle room. I can take fixing or a Crushing Canopy. I can pass up on a third Child of Night since I already have one in my sideboard. Having these general guideposts for playables in each pack, you will have a better game plan moving forward in the draft. This is an important question that not nearly enough people ask themselves. Strong limited decks need many different components to function properly and making sure you have all of them at the end of a draft is no easy task. After pack 1 and pack 2 is the time to see what you’ve already drafted and figure out what you need to pick up to add to that to make your deck work. I’m not talking about just hoping to open an on color bomb; I’m talking about taking a critical look at the cards in your pile and figuring out what holes you need to fill in. At the end of pack 1 you may be near mono color and you’re simply looking to figure out what your second color is going to be. 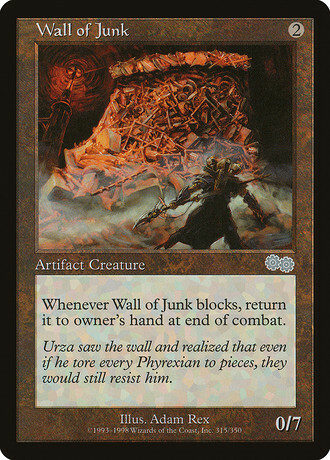 In Guilds of Ravnica, you may be locked in to a particular guild already and are just looking for its best pieces. For example, you know you’re Boros and have 2 Healer’s Hawks, but no mentor creatures yet. I would be actively seeking ways to augment my Hawks and might decide to take those over some expensive removal spells as I have found that Hawks are a gameplan all on their own. If at the end of pack 2 your Izzet deck has a bunch of cards that care about instants and sorceries like Murmuring Mystic, Beacon Bolt, and Piston-Fist Cyclops, but only six spells, you know that taking creatures or Capture Sphere out of pack 3 is out of the questions. These are some extreme examples. 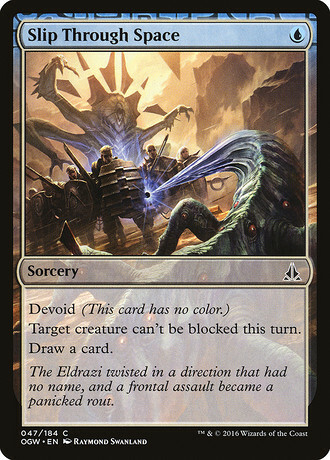 Your deck may simply need some more two drops to curve out or some unconditional removal to deal with opposing bombs. But you won’t be able to figure that out if you aren’t actively asking yourself this question. "What are my sideboard options?" I bet a lot of you don’t ask yourselves about sideboard options until after your first game of a match. 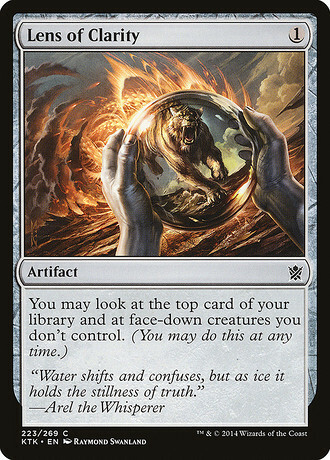 I strongly encourage you to engage with your sideboard a lot sooner. Certainly at the end of the draft, I’d like to be aware of what I can bring in against certain cards or archetypes. Do I have extra lifegain against Boros? Do I have a locket for some card advantage in a slower match up? Do I have artifact or enchantment removal for some tough-to-deal-with cards in the format? You should be mindful of your sideboard during the draft as well. Building a deep roster of sideboard cards as well as a strong main deck is a recipe for a 3-0 in your matches. This is another reason organizing your picks as you draft is important because it allows you to know when you have the flexibility to take a strong card for your sideboard and when you have to stay on target to make playables for your main deck. It's very easy to feel overwhelmed by the sheer amount of choices you have in a draft. There's a lot of moving pieces and knowing where you should focus at each particular moment is a complicated dance that takes a lot of practice to master. I firmly believe that organizing your draft as you go and asking critical questions about the cards you have seen and the cards you hope to see are two skills that will dramatically increase your success at limited deck building. The next time you fire up a draft on Magic Online or Arena, give it a shot. This cleanup step is a limited level-up you won't want to skip. Ethan, AKA LordTupperware, is a magic streamer on twitch and co-host of the magic strategy podcast "Lords of Limited." Biggest Sale of the Year? In which we compare Black Friday pricing from major online vendors against Cardsphere's every day prices. Markus Leben takes a look at potentially returning mechanics in Ravnica Allegiance, and dreams up some new mechanics for each of the five guilds. Copyright © 2019 Cardsphere Inc.
Magic: The Gathering is a Trademark of Wizards of the Coast, Inc. / Hasbro, Inc. The information presented on this site about Magic: The Gathering, both literal and graphical, is copyrighted by Wizards of the Coast. This website is not produced, endorsed, supported, or affiliated with Wizards of the Coast.